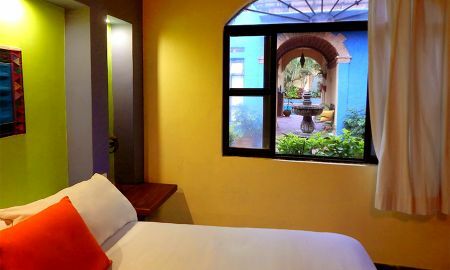 La Villa del Ensueño is a charming and intimate hotel, built in the traditional Mexican style and located in Tlaquepaque, the heart of one of the most important craft centers in Mexico. The professional staff can help guide you to the best shops and restaurants, as well as assisting you with arranging local tours or trips to neighboring cities or beach resorts. The business travelers will apreciate the wireless network. Free, off street parking is available for the guests arriving by car. 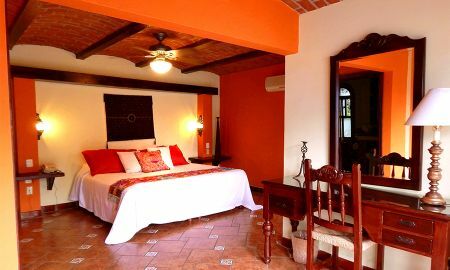 The stay in the Villa del Ensueño Hotel include a full, hot breakfast featuring Mexican specialities as well as fresh local fruits and juices, coffee and tea and tempting array of local pastries. The guest also recieves welcome cocktail at the cozy terraza-bar, a delicious full Mexican breakfast, unlimited local phone calls and light laundry service. After a day of sightseeing, enjoy a pool side cocktail or find your own hidden corner of one of the patios and curl up with a good book. For dinner, you may select from any of the fine restaurants nearby, and the bar in the hotel is at your service to close the night. 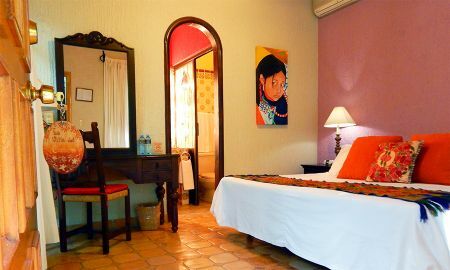 La Villa del Ensueño Hotel is only 20 minutes from Guadalajara's international airport and yet worlds apart, bringing you closer to the soul of old of Mexico.